Hi all! I just thought I’d share what I’ll be wearing for the next week (or longer). I wanted to try out some Born Pretty Store gel polishes so I bought some a while back. I bought the base coat, white and black, and the top coat. I also used an OPI Gel polish for my ring and pinky finger. The shade is called Bare to be Different. 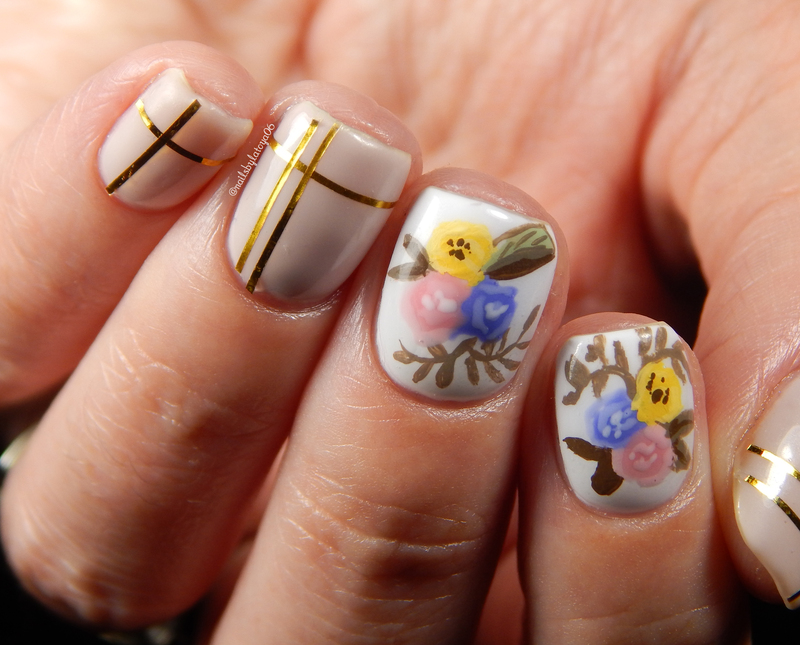 For the flowers I used UR Sugar gel polishes (I bought them off of Ebay) and acrylic paints. Thanks for looking! 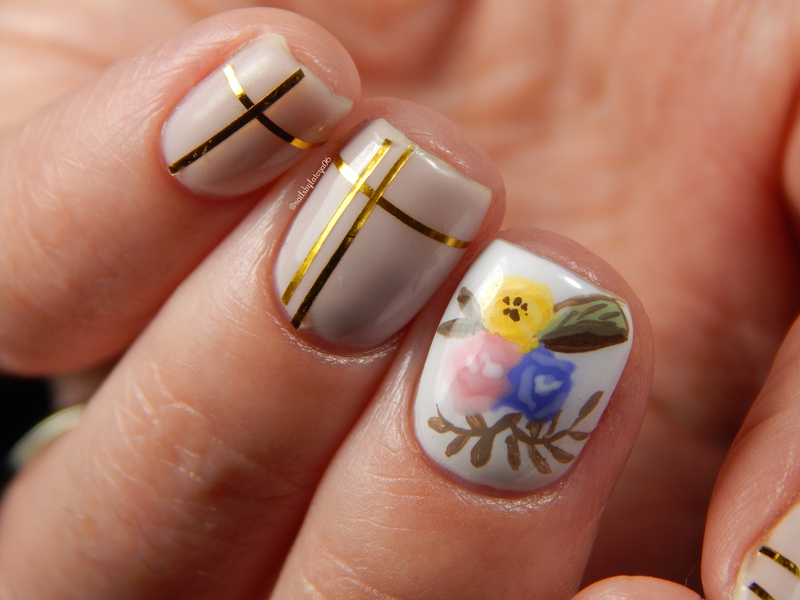 This entry was posted in Beauty, Nail Art and tagged beauty, gel nails, makeup, Manicure, nailart. Bookmark the permalink. ← Glitter Gradient featuring Born Pretty Store Round Glitters!